Artificial intelligence is part of the digitization of the world, as is the smartphone in your pocket. In the future, AI should accompany us through life just as closely. But for that to happen, AI needs to do more than help get our error-prone thinking on the rails. It has to understand how we humans "tick" – i.e. it must learn to read our emotions. Since computers first existed, we have been trying to get them to do the thing that makes people human: to understand what we mean – even when we happen to mistype a word. To recognize in pixels what we see – for example, faces. To communicate like we do, using spoken language or even gestures and facial expressions. All these things are, if you will, forms of Artificial Intelligence: machines learning to deal with uncertainties and to master the essential, or human, side of a problem. Someone who has been involved with AI since his youth is ETH Professor Markus Gross. Today, at just the point in time when AI has arrived in our day-to-day lives, he and his team are already elaborating visions of tomorrow. His work revolves around the challenge of bringing Artificial Intelligence together with human traits: visually, for example with avatars that can simulate human gestures and facial expressions, as well as emotionally, by enabling computers to learn how to show empathy. This would close the biggest gap in the man-machine interface: the personal side of communication. In our video interview, you’ll learn what three digital achievements Prof. Gross sees coming our way within the next five years. Markus Gross is Professor of Computer Science at ETH Zurich. He also heads the Computer Graphics Laboratory there, and since 2008 has been the Director of the Zurich-based Research Lab of the Walt Disney Company. Thanks to his research, hair moves like real hair in Disney movies, and films like Avatar, Kung Fu Panda and Sherlock Holmes have convincingly realistic special effects. Who are we? How do we live today? And how will digitization change our lives? How the future will unfold is preoccupying society more than ever, with engineers, doctors, politicians – each one of us, in fact – seeking answers. 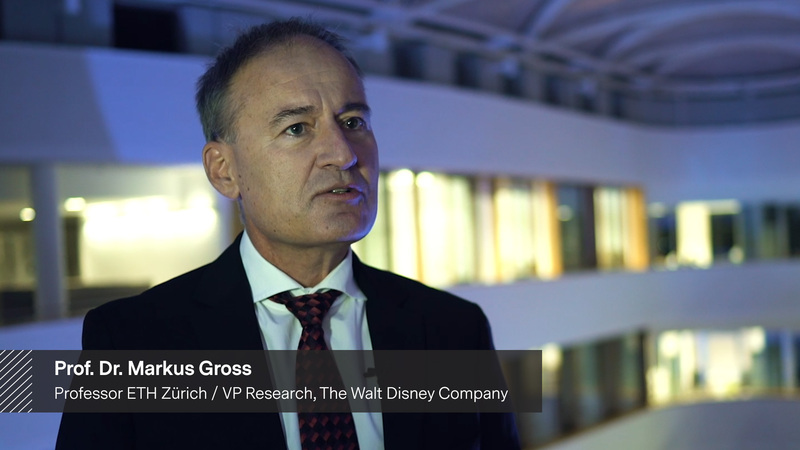 This video interview with Markus Gross is one of many contributions that shed light on the theme "Digitized Society" from a new, inspiring perspective. We are publishing them here as part of our series "Impact".